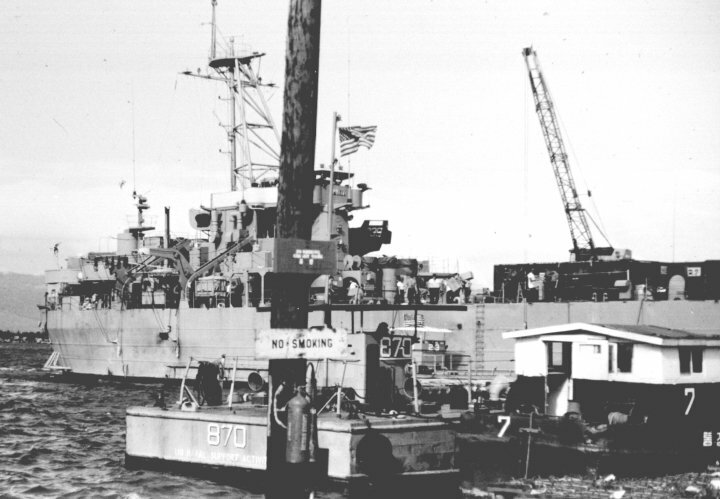 Laid down, 25 September 1944, at American Bridge Co., Ambridge, PA.
Decommissioned, 24 July 1946, at Vancouver, WA. 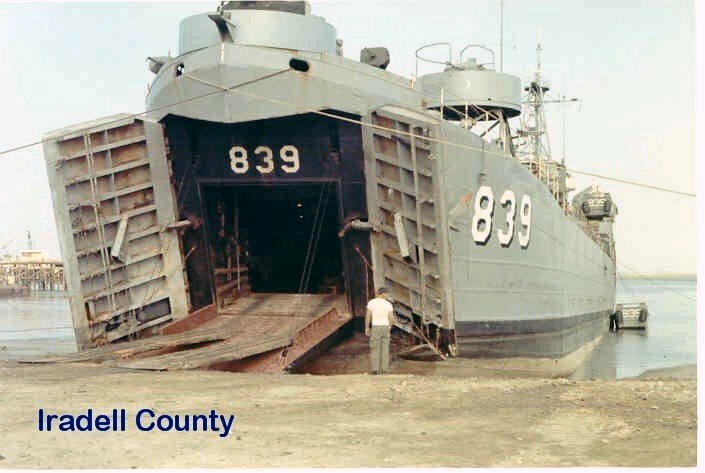 Laid up in the Pacific Reserve Fleet, Astoria, OR. 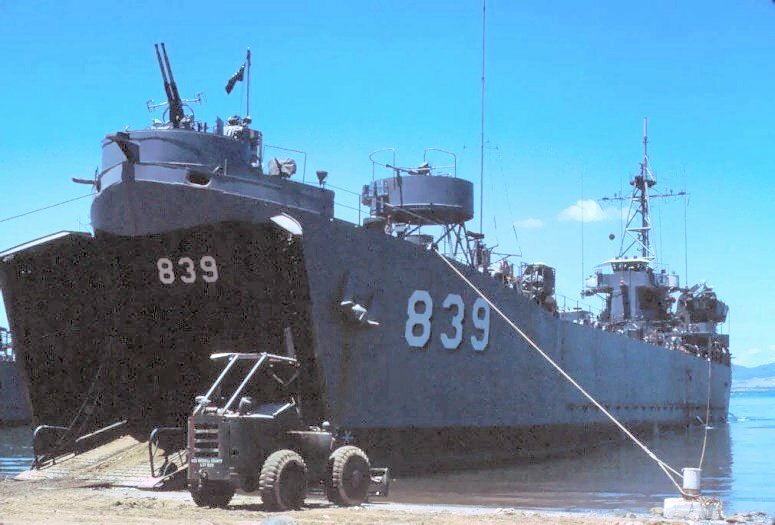 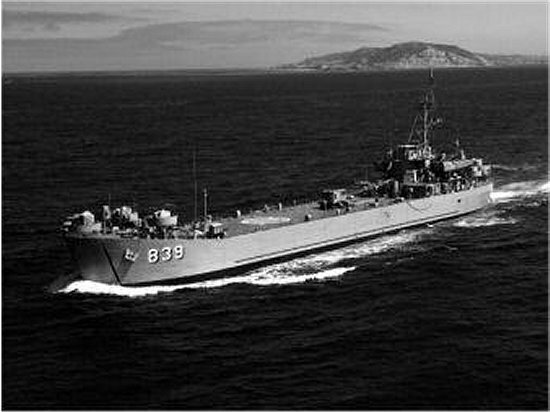 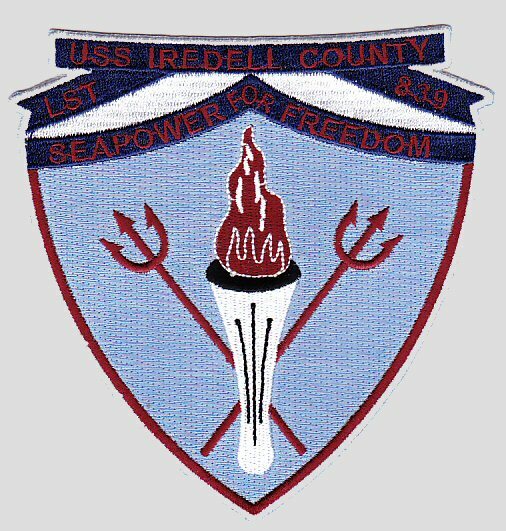 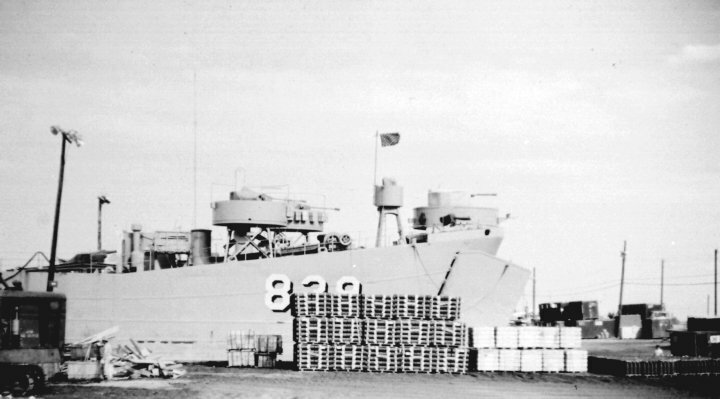 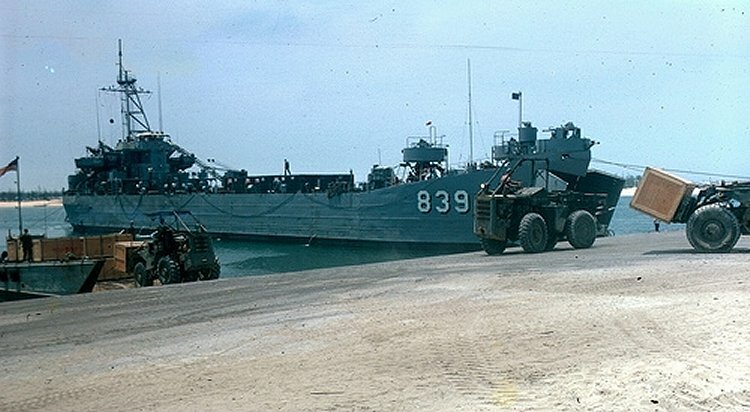 Recommissioned, 18 June 1966, USS Iredell County (LST-839) at San Diego, CA. 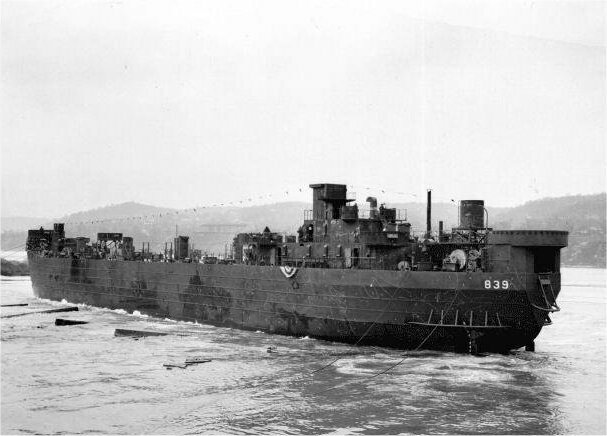 47k USS LST-839 launching, 12 November 1944, at American Bridge Co., Ambridge, PA.
39k USS Iredell County (LST-839) underway outbound to sea from San Diego Bay, date unknown.